At Panel-Fab, we provide control panel fabrication services to our customers in various industries, for a wide range of applications. Our Skilled and experienced staff manages projects to ensure that our customer's schedules are met and that each and every panel has been tested to the print for confirmation of acceptance. 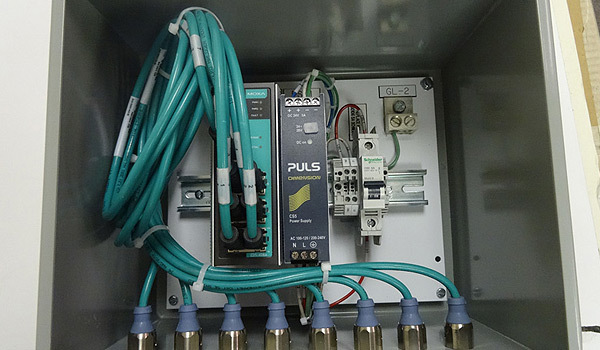 We work on a wide range of control panels, some being multi-door cabinets all the way down to push button stations. Panel-Fab is compliant with U.L., CUL, ETL, VDE and Mil-Spec standards. We've export shipped all over the globe to comply with our customer's requirements. With over 150 employees and $50 million in sales, Panel-Fab can provide a cost competitive solution to our customers regardless of the size and complexity of a particular project. To learn more about all of our capabilities, see the table below or contact us directly.